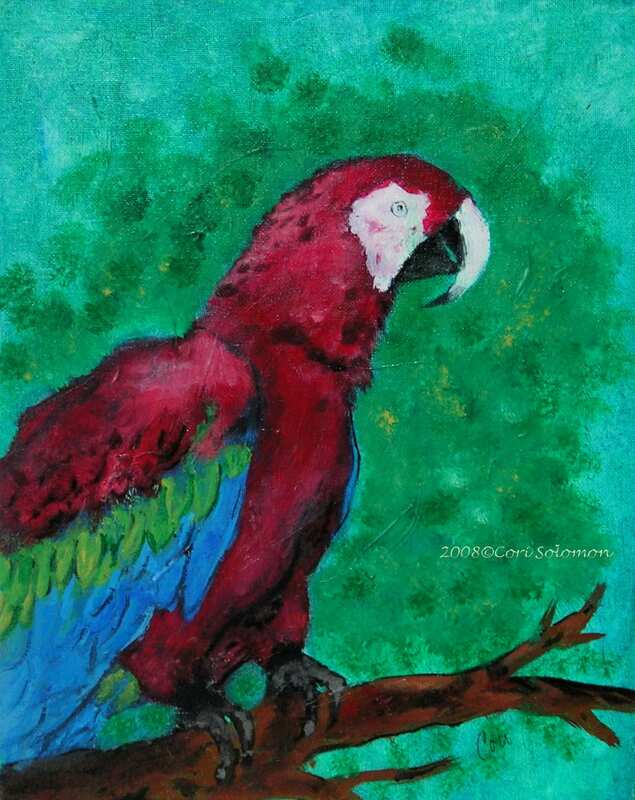 This acrylic painting features a parrot perched in a tree. 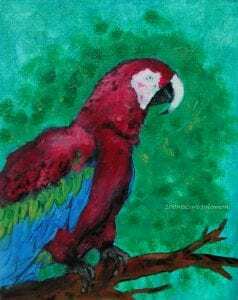 The inspiration for this painting came from photos of parrots that I took when I was in Hawaii. To purchase this painting email Cori.